Here’s a little something I’ve been playing on my radio show for the past few weeks. I really wish more bands did the neo-psychedelic sound. It’s a sound I’m quite fond of, a sound that I felt I found on my own when I was fourteen years old, old enough finally to ride my bike (uphill both ways!) to Camel Records or Music Market to dig through rows of records searching for The Three O’Clock albums that came out before Sixteen Tambourines, a record I heard in the back of a friend’s van heading south on Pacific Coast Highway on our way to a church dance in Newport Beach. 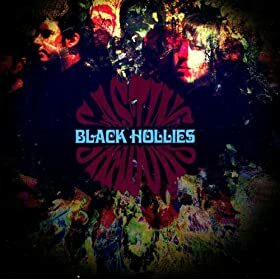 And while The Black Hollies sound more like The Seeds than The Three O’Clock, I dig their way-back sound. As you can tell it takes me way back to when the Sixties were twenty years past, not forty.